In 2014’s The Maze Runner, a group of teens led by Thomas (Dylan O’Brien) found their way out of deadly labyrinth that housed them. 2015’s Maze Runner: The Scorch Trials picks up where the first film ended, as it shows additional challenges faced by Thomas and his pals. As they debrief after their adventure, Thomas and company learn about the structure that placed them in the maze – and they find out that other mazes existed, so they meet survivors of those challenges. A group led by Janson (Aidan Gillen) purports to help them, but Thomas grows suspicious and eventually learns a dark motivation behind Janson’s organization “WCKD” (“World Catastrophe Killzone Department”). Thomas leads an attempted escape from the WCKD facility. In need of support, they plan to head toward the mountains, where they’ve heard they can find a resistance group known as “The Right Arm”. We follow their attempts to get away from WCKD and toward salvation, a trek that forces them to navigate the treacherous ruins of a barren environment. Because I never got a review copy, I didn’t write up Maze Runner, but I did see it theatrically, and I thought it was moderately enjoyable. As I recall, I felt it was more interesting than peers like Hunger Games and Divergent but not by a lot. It offered a semi-Lord of the Flies take on the “Young Adult Dystopian Adventure” and that delivered a moderate amount of entertainment. I do recall that I felt distinctly disenchanted with the movie’s essential absence of an ending. Granted, that seems to be the trend nowadays, especially with efforts adapted from literary franchises such as the ones I mentioned. With additional chapters to come, something like Maze Runner wasn’t going to bring us a tale wrapped up with a bow. Still, I think there’s a right way and a wrong way to conclude a movie that’s part of an ongoing narrative, and as I remember, Maze Runner did it the wrong way. Movies like The Fellowship of the Ring and The Empire Strikes Back pointed toward subsequent chapters but they still felt reasonably self-contained in their own right – the viewer didn’t feel cheated at the end. Then there are movies such as Back to the Future Part II, where the film’s conclusion leaves the audience annoyed and disappointed. Maze Runner fell into the latter category, as I felt it did a lot to squander whatever good will the prior two hours had engendered. The movie’s finale didn’t make me eager for the next adventure – it left me with the feeling that the film had been a tease. As the second chapter, Scorch doesn’t come with the same problems, but that doesn’t make it more satisfying than its predecessor. Really, outside of the ending, I thought Maze Runner was good, but Scorch doesn’t achieve blast-off. Scorch starts slowly and never quite recovers. It devotes too much time to a basic premise and doesn’t involve us in the characters or events particularly well. The first act plods, and while it sets up subsequent story beats in an adequate manner, it seems too dull to interest us. Once the characters get away from WCKD, matters don’t rebound, largely because so much of the tale seems trite and predictable. Much of the entertainment from Maze Runner stemmed from the intrigue related to where the kids were, how they got there, and how they would escape. With those elements revealed, Scorch turns into little more than a collection of action scenes without much narrative thrust. And they’re not especially good action scenes, at that. While Scorch comes with plenty of sequences that feel like they should deliver excitement, they don’t. Instead, they come across as perfunctory and without creativity. They fill out screen time and do little more. Speaking of which, Scorch feels awfully long given the thinness of its story and character development. Even though Maze Runner needed to introduce characters and situations, it runs almost 20 minutes shorter than Scorch. Why does the sequel get so much more running time? I don’t know, as it lacks the necessity to dig into different story elements to a deep degree. The first movie told us pretty much everything we need to know, so Scorch just embellishes these components. At 100 minutes, Scorch might have worked better, as a pared-down tale could have made it better focused and more efficient. At 131 minutes, though, it seems inflated and self-indulgent. Truly important sequences appear infrequently, so we instead get one forgettable beat after another. This leads to a pretty dull affair, mainly because Scorch does so little to make us care about the characters. All the action and effects in the world don’t matter if we lack investment in the participants, and that haunts Scorch. The film throws a lot at us but little of it sticks. Annoying ending or not, I much prefer the mostly compelling Maze Runner to its lackluster sequel. Maze Runner: The Scorch Trials appears in an aspect ratio of approximately 2.40:1 on this Blu-ray Disc. This became a satisfying presentation. Sharpness looked good. Interiors could be a smidgen soft, but the majority of the movie displayed tight, concise imagery. Jaggies and moiré effects failed to appear, and I witnessed no edge haloes. Print flaws also never caused distractions. Colors went with the usual options much of the time, as we got a lot of orange and teal. In “the Scorch”, though, the expected sandy hues became more dominant. While those choices seem predictable, the disc reproduces them well. Blacks were deep and dark, while shadows showed nice clarity and smoothness. This turned into a fine presentation. I also felt consistently pleased with the DTS-HD MA 7.1 soundtrack of Scorch. With plenty of action on display, the soundscape earned many chances to shine. It filled out the various channels in an active, involving manner that placed the viewer within the spectrum. Different components showed up in appropriate spots and moved/meshed well to form a solid sense of place. In addition, audio quality seemed solid. Speech remained distinctive and natural, while music showed good range and clarity. Effects fared best, as they seemed accurate and dynamic. The soundtrack fit the film and added to the experience. When we go to the disc’s extras, we discover an audio commentary from director Wes Ball, screenwriter TS Nowlin, producer Joe Hartwick Jr. and editor Dan Zimmerman. All four sit together for this running, screen-specific look at story/character areas and the adaptation of the source, cast and performances, stunts and action, sets and locations, editing, music, effects and other areas. Ball and company deliver a high-energy commentary here. They cover a terrific variety of subjects and do so in a vivid, peppy manner. With a combination of solid nuts and bolts info, fun anecdotes and trivia, and more than a dash of humor, the track works really well. It's a brisk, delightful chat. For a little more background information, we go to Janson’s Report. In this four-minute, 57-second piece, we hear from Janson and other movie characters as they discuss their experiences. This would be a good piece to watch before you view Scorch, as it helps expand our understanding of the tale. 14 Deleted and Extended Scenes fill a total of 17 minutes, 58 seconds. These tend to be fairly minor additions and most don’t add a lot. We get a little decent exposition, though, so some of those moments might’ve been worthwhile in the final flick. We can view the scenes with or without commentary from Ball, Nowlin, Hartwick and Zimmerman. They discuss how the segments would’ve fit the movie as well as why they were removed. The commentary adds good information. A collection of featurettes called Secrets of the Scorch take up a total of 52 minutes, 15 seconds. In these, we hear from Ball, producers Wyck Godfrey and Lee Stollman, author James Dashner, production designer Daniel T. Dorrance, visual effects supervisor Richard E. Hollander, special makeup effects Mark Garbarino, costume designer Sanja Milkovic Hays, special makeup designers Alec Gillis and Tom Woodruff Jr., and actors Dexter Darden, Thomas Brodie-Sangster, Dylan O’Brien, Giancarlo Esposito, Ki Hong Lee, Katherine McNamara, Alexander Flores, Aidan Gillen, Jacob Lofland, Nathalie Emmanuel, Rosa Salazar, and Barry Pepper. The shows cover the expansion into a sequel and story/character areas, cast and performances, sets, locations and production design, various effects, stunts and action, costumes, and general issues. After all the info in the commentary, the featurettes don’t feel revelatory, but they give us some good behind the scenes imagery and add enough new material to be worthwhile. Three Visual Effects Breakdowns take up a total of one minute, six seconds. Available with optional commentary from Ball, these show effects-intensive scenes before and after the addition of the CG imagery. They’re fun to view, though Ball’s commentary doesn’t tell us much since he lacks much time to chat. Eight Visual Effects Reels fill 29 minutes, 55 seconds. With these, we get a bunch of images that let us see scenes with and without effects. I enjoy this kind of footage, though the “Reels” could use commentary to make them more informative. Next we find a Gag Reel. This runs 15 minutes, two seconds and offers pretty standard blooper material. That makes it lackluster – and too long. Two Galleries appear. These cover “Concept Art” (251 frames across 14 subdomains) and “Storyboards” (36 frames across two subdomains). Both offer good material, though the interface can be a chore to navigate for the “Concept Art”, as some of those subdomains include only two or three images. The disc opens with ads for The Martian, SPECTRE and Paper Towns. 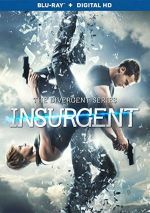 Sneak Peek adds clips for Me and Earl and the Dying Girl, The Transporter: Refueled, Teen Wolf Season Four and Hitman: Agent 47. We also get two trailers for Scorch. A second disc presents a DVD copy of Scorch. It includes the deleted/extended scenes, the gag reel, trailers and the galleries. It lacks the commentary and the other extras. The package also provides an exclusive comic book. This offers an interesting expansion of the movie’s characters and situations. Despite a few flaws, The Maze Runner provided a largely engaging adventure. 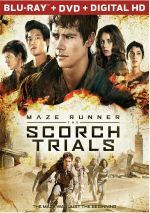 Unfortunately, its first sequel drops the ball, as The Scorch Trials turns into a lifeless collection of action scenes with little impact or purpose. The Blu-ray brings us pretty strong picture and audio as well as a nice set of supplements. Perhaps a third Maze Runner film will redeem the series, but Scorch Trials fails to ignite.